Christmas gift with defocused lights background. 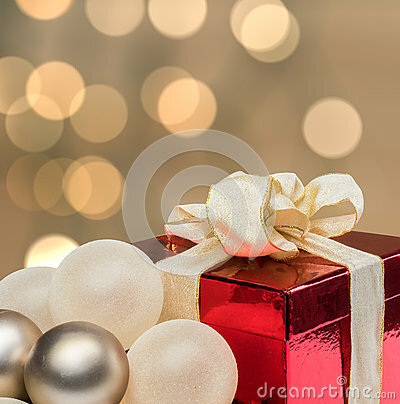 Red shining gift box with gold ribbon and white and silver baubles. Blurred bokeh background with defocused lights. Copy space for special Christmas wishes on your greeting card.